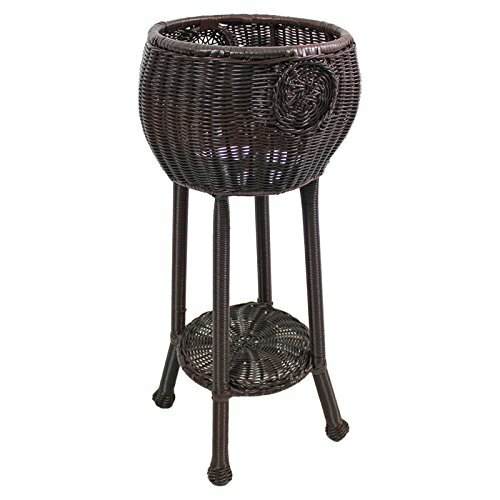 This plant stand is made from premium outdoor resin wicker, and a rust free aluminum frame. It has a two-tier outdoor plant stand design, and holds one plant comfortably. It also has all weather and weather resistant finish and UV light fading protection. It is a part of the Chelsea Collection.